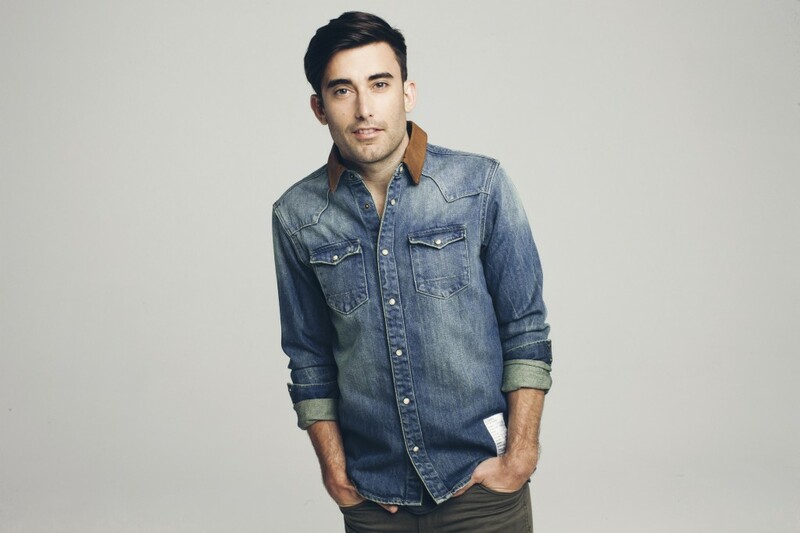 Music has been such a central part of his life that Contemporary Christian singer-songwriter Phil Wickham can’t recall can’t recall a day he wasn’t drawn to it. Born in San Diego, Phil along with his two siblings was raised in a religious household. His parents were both musicians and former members of the acclaimed Christian band Parable. When Phil and his brother Evan (a successful Christian artist in his own right) began showing an interest in music, their parents strongly encouraged them to pursue their artistic muse while still maintaining a steadfast dedication to God. Now five studio records into his career, Phil can’t imagine pursuing anything else. “From the time we are born, I feel as though everybody has some kind of interest in music,” Phil says. “My parents were the first to show me what music is. My father is a worship pastor and was always looking for new music to bring to the church. Growing up, we listened to The Beatles and Bob Dylan along with worship records. Phil acknowledges feeling very fortunate to have carved out such a successful career in music in spite of a lack of bona fide pop “hits” as defined by the music industry. Historically speaking, secular music has remained largely segregated from the mainstream pop charts, in spite of bearing many of the same characteristics of pop hits. Over the past 20 years however, there have been a number of artists that have successfully “crossed over” into mainstream acceptance, including Amy Grant, Switchfoot and Jars of Clay. Phil believes that the imaginary lines and perceptions that all too often keep Worship music as a niche genre are beginning to fall. “As recently as 10 or 20 years ago, there were definitely hard lines between the world of worship music and the pop music world. I have been seeing a shift over the last little while, however. Asked how, after five studio records, he keeps the songwriting process exciting and interesting, Phil shares that he looks to life to provide the inspiration for his music. With two young daughters and a loving wife at his side, Phil has plenty to keep him inspired along the way. For the making of his latest record, last year’s The Ascension, Phil found inspiration from the Book of Psalms. “I love the Psalms,” he says. “Fifteen of them are called Songs of Ascent. Some scholars believe that the Jews sang these psalms when they would ‘ascend’ to visit the Holy Temple three times annually for the festivals. Phil’s performance on Sunday evening in Moncton is one of four that he is performing on the Eastern Seaboard before returning to his California home. He says that over the last two years, he has averaged between 120 and 140 shows but this year, would ideally like to trim that number down to approximately 100 shows. There are too many precious moments waiting for him at home that he simply does not want to miss. When: Sunday, March 30, 6 p.m.